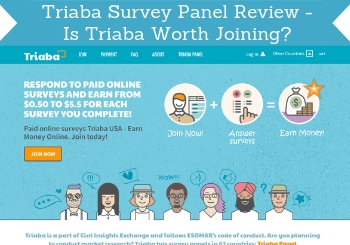 Triaba Survey Panel Review – Is Triaba Worth Joining? Triaba is a survey panel you can find in many countries. But is it a survey panel that is worth it, or is it just a scam? I have tested the panel for quite a while and know in detail how it is to be panel participant there. In this Triaba Survey Panel review, I will give you an inside look and show you all it has to offer, so you can easily see if it will be worth your time or not. What is Triaba Survey Panel? Triaba is an international paid survey site. It does not offer any other options to make money than surveys, and offers on average somewhere between 2-8 surveys per month. The site is very simple and easy to navigate on and there are not any distractions on the page, so it is very easy to get started on this site. You do however not even need to visit the site itself very often, as they will send you an email every time there is a survey available for you. You take the survey by clicking the link in the email. So you basically only need to go to the site itself when you first register, when you want to check your balance, or when you want to request a payout. It is free to sign up and to participate. How does Triaba Panel pay? When you answer surveys, you will earn cash in your local currency. You can get this cash paid out through PayPal. In some countries, Triaba also offers other payment options. In the US you can for example also chose to get amazon gift cards, and in other countries, there are other options. But in general, you will also always have the option to get paid through PayPal no matter where in the world you live. PayPal survey sites are in my opinion great, as they usually make it easy to get your rewards in cash, so great Triaba has this option, but also nice that it in some countries has other options, as we all have different preferences for how we want to get paid. You will be able to see the reward on your Triaba account as soon as you have finished a survey. How much money you have to earn before you can get a payout depends on the country you live in. But in general, it will in my experience be around $5-$7 which is a pretty low payout threshold for a survey site and one of the plusses of Triaba. If you have other experiences with this in your country, feel free to leave a comment below – I would love to know. How much time do you have to spend to make money on Triaba? Triaba does not have very many surveys compared to many other survey sites. In general you will be offered 2-8 surveys a month depending on the country you live in and what you interests are, your age, etc. Triaba says you will get between $0.5-$5 per survey. It will not be very often you will get $5 however. And if you do, it will probably be a long survey of about 30-35 minutes. Mostly the surveys are between 5-20 minutes and how much you will get depends on the length of the survey. For a survey site, the money in relation to the time spent is average. You will always know how much your reward will be before you start a survey, as it will be stated in the email invitation you receive. Here it is also estimated how long time it will take. As you can see from the above, Triaba will not make you rich. You will once and a while be able to make a little bit of extra money, which can be nice. But do not expect it to make you a real income online or even close to that. In which countries is Triaba available? Triaba is more or less a worldwide survey panel. To be more precise, it is available in 47 different countries. Triaba is definitely a legit survey site. I know from personal experience, as I have been paid by it several times myself. That it is legit does however not mean it will necessarily be worth joining. So let’s sum up the pros and cons, so you can get a better overview before deciding to join or not. Triaba is very easy to use, and mostly for that reason, I think it can be worth signing up for. It will not consume too much of your time, as you will not get that many surveys, so if you want to be more active and make more money, there are sites that are better to sign up for. A disadvantage is that Triaba does not offer any joining bonus or any bonus for filling out your initial profile information. That can in itself be ok, but the profile info on Triaba takes a long time compared to many other survey sites. Usually, it will take around 5 minutes and often you will get a small bonus for this. At Triaba, it takes around 30 minutes and there is no bonus for it. If you only want to sign up for a couple of survey sites, I would recommend to join other sites instead, as Triaba alone will give you payouts very rarely. But it is a safe and solid site that always pays out without any problems, when you have earned enough. So if you want something that is very easy to use and do not care about only getting a few surveys a month and how much money you make, Triaba can be an option. How do you sign up for Triaba? You can sign up through Triaba’s website, by filling out a bit of information about yourself. It takes a few minutes. However, it takes around 30 minutes to fill out your profile information after you sign up, but this can be a good idea to do (read more about this in my advice below). Be aware that Triaba does not offer you any initial joining bonus or bonus for filling out your profile information. This will just be to set up your profile for getting surveys offered in the future. If you decide to sign up for Triaba, check out a couple of extra advice I have written below. As already mentioned I would however suggest to make sure to also join additional survey sites, as Triaba alone will give you quite limited opportunities. Be aware that if you do not have any activity for a certain period of time, Triaba says that your money will become inactive and disappear from your account. You can however send them an email and get them activated again, unless you have a longer period where you are not active. In that case, your account will be deleted. The period is however quite long. Your points will become inactive after a year, and here it is still possible for you to reactivate them. After 2 years without activity, your account will be closed. It does kind of make sense as you are probably not interested in being a member anyways, if you have not done any surveys for 2 years. But now you know this in advance, in case you suddenly decide to take a long break from Triaba. . When you have signed up, you can fill out your profile information. It is a bit boring and takes a while (around 30 minutes), and you do not get any bonus or reward for this. You do not have to do this, but it is still a good idea, as it will then be easier for Triaba to match surveys with you, and you will therefore be offered more surveys in the future. Hope this review gave you a better idea about Triaba, and if it is worth joining for you. If you have any questions or comments, drop a line below, and I will make sure to get back to you asap. Triaba is a very easy to use and reliable survey site but does not give you a lot of opportunities. So if you want to have surveys often and have the chance to make more money than Triaba can offer, you should consider joining the top paying survey sites instead or at the same time. Hye, normally how long is it going to be for a complete reward redemption to PayPal process? How may I communicate with the person in charge? Kindly advise please, thank you so much. On Triaba it can take some patience to earn enough for a payout and there are sites where it is a lot faster. But once you request a payout, the processing takes 3-5 days on Triaba. Please do you know any real pakistan Survey sites? Triaba is available in Pakistan. Other legit sites that are available there are ClixSense, Superpay.me, Toluna, and YouGov. Mikael, thank you so much. I am Moses from Kenya and am also looking to make some extra bucks. There is always room to make more money, been trying Triaba but as you said, it cant really sustain one as a conventionally as one would like. Any chance you can drop me some links that pay in Kenya or Africa generally in regards to substantial online work other than surveys? I have a good internet connection to start with and loads of personal time. Once again thank you so much Mikael. If you are more interested in creating a full-time income, you can check out my article about how to make a full-time income online. It will take a lot of effort, but can be worth it, depending on what your are interested in. Be aware that usually the platform you can read about in the article offers a free starter membership – just not for a small handful of countries, and Kenya is unfortunately one of them, so it is only the paid option that is available in Kenya. But you can check out the article and let me know, if you have any questions. Swift and understood, let me have a look and il get back to you pronto. Really awesome, Africa always seems disadvantaged when it comes to this stuff and i wonder why rich co oprates don’t occupy this niche…thanks Mikael.. Yes, a shame African countries are disadvantaged in these areas – it is because many companies unfortunately have experienced a lot of fraud from these countries, and therefore had to take extra safety measures. Just a big shame for all the honest people like yourself that live there. In regards to the Wealthy Affiliate, il have to straightaway register as a paying customer though i have to raise the funds, a friend who lives abroad reccomended pfs to me so its a definite yes. Otherwise il have to ask more questions once am registered officially. Am still scouring the net for more info in the meantime. REALLY Appreciated Mikael. You are welcome Moses. Just let me know if you have any questions. If you join through the link here on my website, we will automatically be connected when you join, and I will be able to help you out, as I am a member there myself. Be aware that WA has a special offer here for Black Friday on the 23. November where you can get a full year for just $299. Just something to consider, if you are planning to join. Thanks Mikael, that is noted duely. Awesome! thanks everyone. please i would like to know if triaba accepts nigerians. Yes, Triaba actually has a specific survey panel just for Nigeria, so you can join, if you live there. Could you recomend a survey site for a Lithuanian person? For Lithuania I would suggest you to check out ClixSense and PrizeRebel. And feel free to let me know, if you any other questions. Triaba is available in Nigeria. Some other legit and real sites that are available in Nigeria are ClixSense, Superpay.me, Toluna, and Mobrog. There are several ways to earn money online. It depends a lot of your preferences and what your goal is. 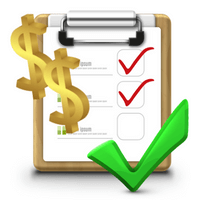 Paid surveys, as this website is about, is a very easy way and a nice way to make some extra cash. It is however not a way to make a full-time income online, so if this is what you are going for, there are other options that are better. So if you can share a bit more about what your goal is and where you are from, I will be happy to come with a few suggestions for you. I am from India and looking forward to join Triaba. However, could you please suggest some other genuine survey sites as well. Hope you will enjoy being a member of Triaba. I have made a list of the best survey sites for India you can check out to see more legit sites. There are several sites on the list that will give you better opportunities than Triaba. Triaba is not worth my time. The company sends me a few survey invitation and when I answer it honestly they will screen me out. Sorry to hear this Rosemarie. There are definitely sites with more opportunities than Triaba. Personally, I have however been able to qualify quite often on Triaba, but a shame to hear it is so difficult for you to qualify. If you tell me what country you are from, I can try to give you some suggestions for sites with more chances of earning? I’m from Philippines. There was a time I recieve an invitation coming from Triaba it said I was qualify for the survey. When I open the link, it notified me that I already answer the survey which I didn’t. I was excited to take the survey at the end I was screenout without a valid reason. I know they are looking for a specific respondents but it’s quite annoying at the middle of answering the survey they screen me out. Yes it is very frustrating when you screen out after having spend time on a survey. It unfortunately happens sometimes, but always frustrating when it does. I have a list of some good sites in PH you can check out – but be aware that it is not completely updated with the best opportunities yet. Next week I will update it and add a few more good options, so better to bookmark the page and come back and check it in about a week. Hope that will help you get more surveys, and let me know if you have more questions. Thank you for responding to my concern. I really appreciate it. I will try the other survey sites that you recommend. You are welcome Rosemarie. Glad I could help. Not sure what you would like to know. Feel free to ask any question, and I will do my best to answer. I just recently joined Triaba and I was wondering where on the website I can find ” My Earned points” ? When you are logged in there should be a tab called “rewards” – if you click this, you can see how much you currently have, what rewards are available to you, and your previous payouts. Hope this helps and let me know, if you have any more questions. Do I need to deposit any amount also while getting registered to Triaba? It is necessary to create a Paypal Account and can we trust on such accounts? How Paypal will transfer amount in my Bank Account? In a month maximum how much a person can earn making a survey a day? If I am residing in KSA, will I be answerable to some questions from my Bank, where this amount coming from or why? You do not need to deposit any money to open a PayPal account or to register for Triaba. The only payout method Triaba is offering is PayPal, so to use Triaba, you need a PayPal account. But PayPal is very safe, and it is free to get an account. To get the money to your bank account, you need to connect your PayPal account with your bank account from within PayPal – it is easy to do and does not take long. Once it is done, you can transfer money to your bank account in a few clicks. However, be aware that you do not have to transfer the money to your bank account. PayPal is very popular, and you can use it to pay online for a lot of different products and services. There are however many survey sites that offer other payout methods like for example gift cards or checks, if you prefer this instead. How much you can make on paid surveys in a month depends a lot on how many sites you join, which sites you join, how much time you spend, and the country you live in. No matter what it will however not be a way to make a full-time income or make you rich. It can however make some really nice extra money, and it is very easy and free to get started. But it is often possible to make somewhere between $100-$1000 per month depending on the factors I mentioned above. In KSA you should however not expect to be able to make get to the highest amount I just mentioned, but you should have some good chances to earn some extra money on the side. In KSA you can also check out other sites like ClixSense, Superpay.me, PrizeRebel, GlobalTestMarket, and Toluna, as these are all available there and are great sites. In most countries you have to pay taxes from any income, so I cannot say, if the bank will ask questions or not, if you transfer the money to your bank account. I am not into the specific tax rules etc. for KSA, so you would have to look into what the rules/law is there. thanks a lot for your blog its very informative. can u please email (fareeha.akbar@hotmail.com) me some other authentic sites from where i can earn proper amount of income. Thank you very much for your feedback. Glad to hear you like my post. 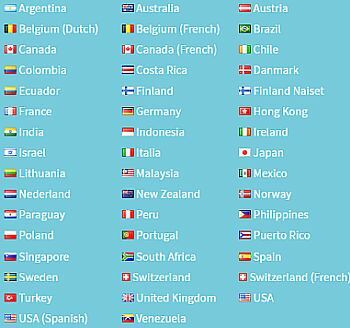 I have just answered your comment on the best survey sites list and given you some great sites in your country. Hope this helps. Also, just be aware that paid surveys are a great way to make some extra money on the side. So if surveys is the right for you depends what kind of proper income you are looking for? If you are looking to make a full-time income online, paid surveys will not be the way. Then you can instead check out my post about the opportunities to earn a full-time income online. But for some nice extra money, paid surveys are great. So it depends on your expectations what the best option is. If you want to join, you just go to the Triabas website and sign up there. It only takes a few minutes. And just let me know if you have any questions. Hi. Recently I noticed surveyyeah, triaba, telly pulse,say bucks etc are all working in a similar platform. I downloaded this app called opinion app by cint. I have subscribed to a total of 8 survey website with cint panel and all panel website shares the same working capability. All the 8 panel website appears simultaneously in opinion app. Get about 60-80 surveys/month of which most I don’t qualify. And now I need your help as are these all cint router affiliates and if I want to open a similar website where to start ? As after all these sites work in similar manner so what would be the procedure. I also have the opinion app which is handy. But the Cint panel sites are not really my favorites as they do not offer as many surveys as other sites, but they can be a good addition to other sites. Cint delivers surveys to many survey sites. The sites you mention here are only offer surveys from Cint. That is also why they do not have as many surveys as other sites, and also if you do not qualify a lot for Cint´s surveys in general, you will also rarely qualify for the sites you mention here. If you want to start a similar site, what the best place to start is depends a lot on your experience. Are you used to working with and developing websites, or is it brand new to you? Is your idea to develop a site that only offer Cint surveys and in many ways are similar to the sites you mention above? If you can give me a bit more info about your previous experience in this area, I will try to guide you towards the best place to start. Your Points will become inactive after 2 years. If you are inactive for more than a year. Your email address will be set to inactive after one year. Why do we do this? If you have not answered any surveys after 2 years, you are probably not interrested in answering surveys. We do not want to send emails to People who are not interrested. Thank you very much for clarifying this Frode. I appreciate you taking the time to do that. I have now updated my review so it reflects the ifno you gave, so people can see the correct info. Thank you for this post, I found it really interesting. Getting paid for completing surveys is not something I had considered before so reading this review of the Triaba survey panel was really informative. I like that you have tested the product for one year so can give a truer picture. I am now considering signing up so thank you for the information. You are welcome. Surveys can definitly be a good way to make a bit extra cash. As mentioned, Triaba is a solid site, but will however not give you very many surveys. So you can also consider looking into some of the sites that give more options and more surveys.